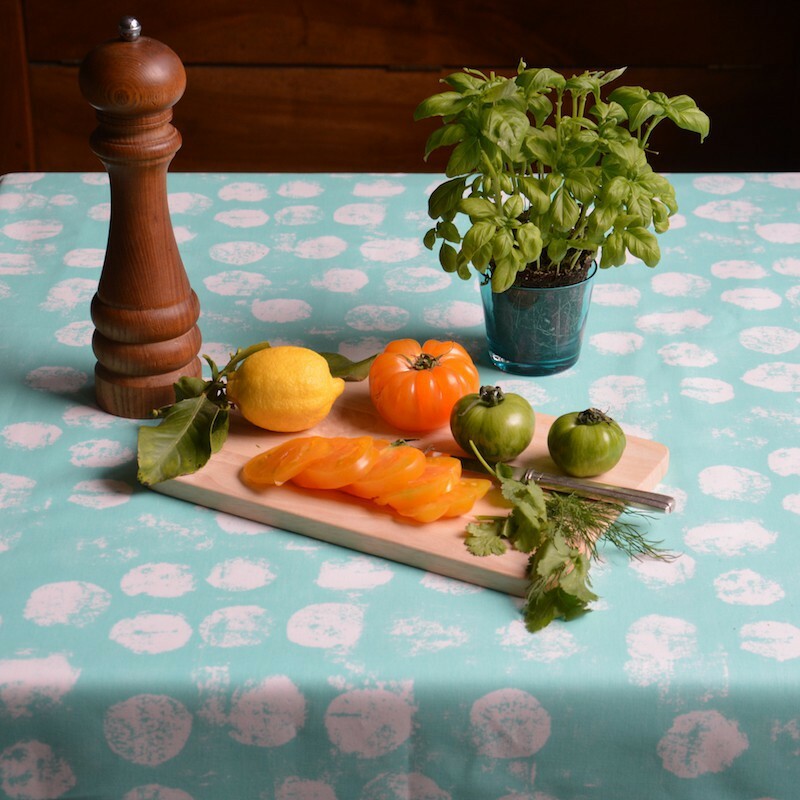 Wipe clean your Pastille mint round or oval tablecloth with a damp cloth after each meal. You can also use Vinegar or bleach to remove stubborn stains. Machine washable is allowed occasionally at 30°C without any conditioner and no spin. 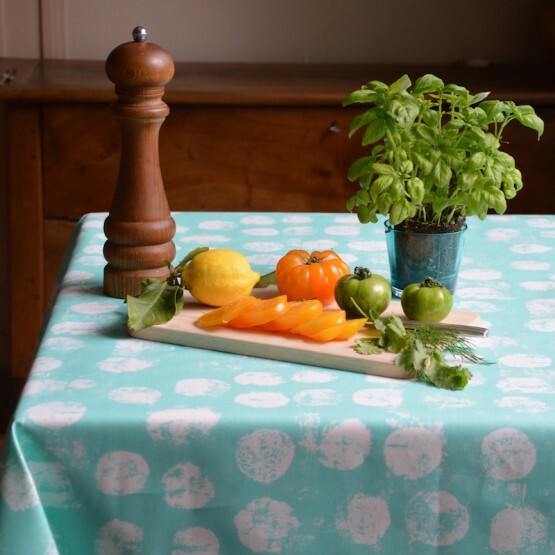 Ironing is mandatory on the backside (cotton side) or on the right side with a press cloth or a damp tea towel.